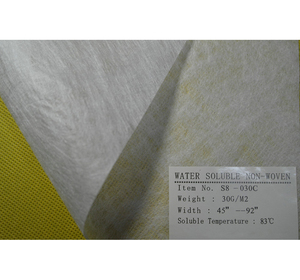 Workshop Processing Products The nonwoven water soluble paper is used as a raw material, because of its good solvency in water. 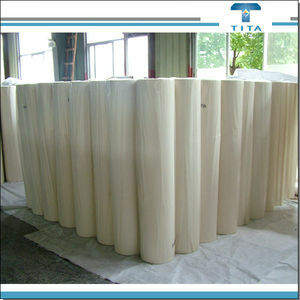 Water soluble paper is also used as a special accessory for lace, bra and other articles that require hollow out effect. Detail display We can produce 20-50gsm water soluble PVA non woven paper,and softer or harder just produced for your requirement. 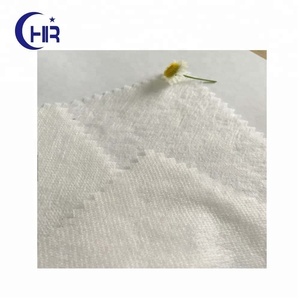 Spunlace nonwoven can be applied to production of wipe cloth,cosmetic product(facial mask,discharge makeup cotton),and so on . 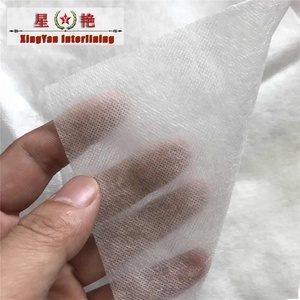 Chemical bonding nonwoven can be applied to production of depilatory,package,garment liner,machine filtration,and so on . 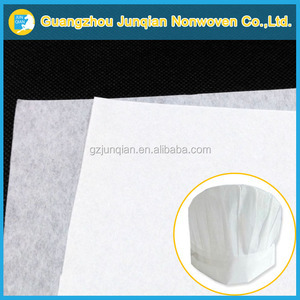 Hot rolling nonwoven can be applied to production of meidical product, package,and so on . 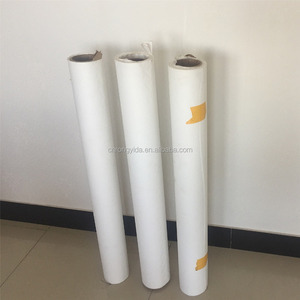 3 YRS Dongguan Daquan Nonwoven Co., Ltd.
3.How do you transport the products9 If you are not urgent, we usually transport by ship because it is the cheapest way. But for the West Asia area, we deliver by train because there is no sea to ship. And for samples and urgent cargo, we transport it by air as it is the fastest way. 2 YRS Changzhou Powertex Interlining Co., Ltd. Inspection & Convert Every yard of our products is strictly inspected on three converting machine. Cutting, Inspection and Pack Every piece of the backing stabilizer is strictly inspected by hand. Welcome to Visit Us Many customers paid a visit to us in the past years. * Quality is guaranteed and delivery is on time. 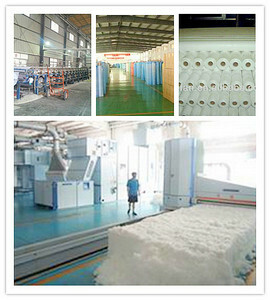 Our factory is more than 15,000 square meters big. * Our factory have cooperation with Many buyers. 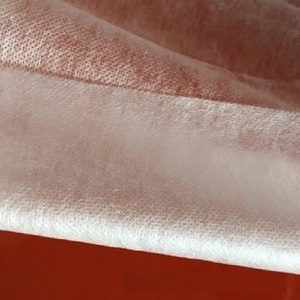 : Water soluble spunlace nonwoven fabric for embroidery EM-35 Composition: 100%PVA Color: white/charcola/black Width: 160cm Weight: 30sm Characteristic: 1.it can be used for embroidery. In the past years,we have been committed ourselves to serving the top customers in apparel line, and today, a well-run team,for R&D and management,has been fostered. In all the process,from spinning,weaving,pretreatment,dyeing and finishing, to coating,we all adopt first-class equipment,full set of eco-friendly technique and strict process control. Its water solubility completely meets the strength requirements all kinds of embroidery cushions which are always applied in the bottom . ,Ltd is an enterprise with diversification business of garment interlining and embroidery accessories integrates manufacturing. As the first enterprise in the field of embroidery accessories , we provide the one-stop service of purchasing and omnibearing consulting . Company recommend with good quality and high production. 9 YRS Zhengzhou Yuli New Material Technology Co., Ltd.
Alibaba.com offers 4,881 pva nonwoven products. About 27% of these are nonwoven fabric, 1% are 100% polypropylene fabric. 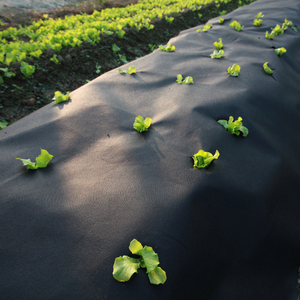 A wide variety of pva nonwoven options are available to you, such as anti-bacteria, eco-friendly, and anti-static. You can also choose from free samples, paid samples. There are 4,881 pva nonwoven suppliers, mainly located in Asia. 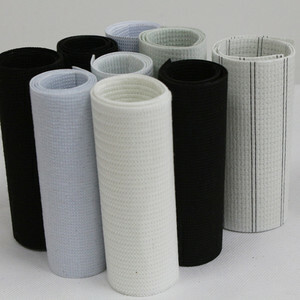 The top supplying country is China (Mainland), which supply 100% of pva nonwoven respectively. Pva nonwoven products are most popular in North America, Mid East, and Eastern Asia. You can ensure product safety by selecting from certified suppliers, including 2,300 with Other, 136 with ISO9001, and 33 with ISO14001 certification.